Beautiful! I love the rich colours! Your cards are so inspiring! You are much too kind!! 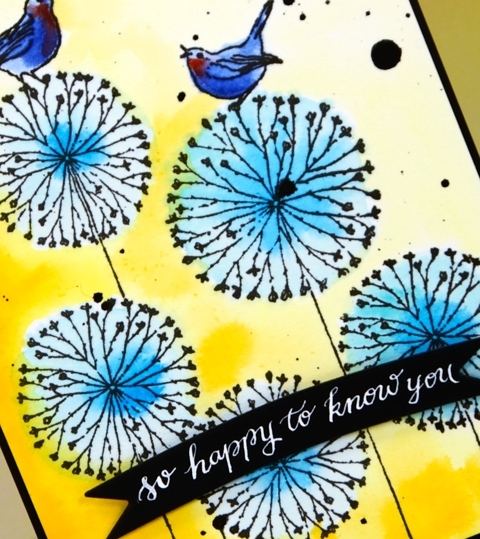 Thank you so much for your sweet words about my cardmaking! You made my day!! I love this card. 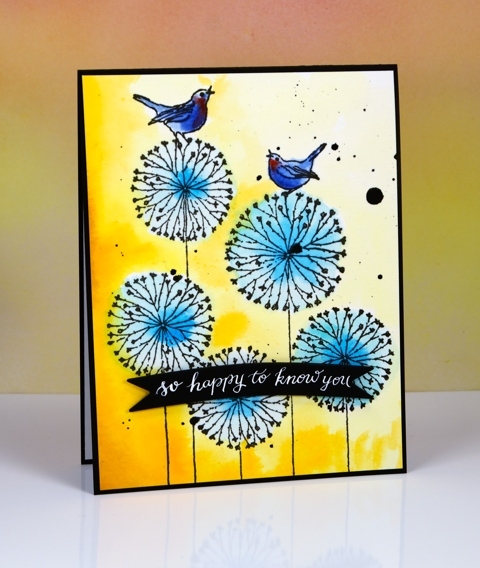 Your bold yellow is so sunny and cheery and the blues on the flowers and birds are perfection. Thanks for all of YOUR inspiring creations. HUGS!! 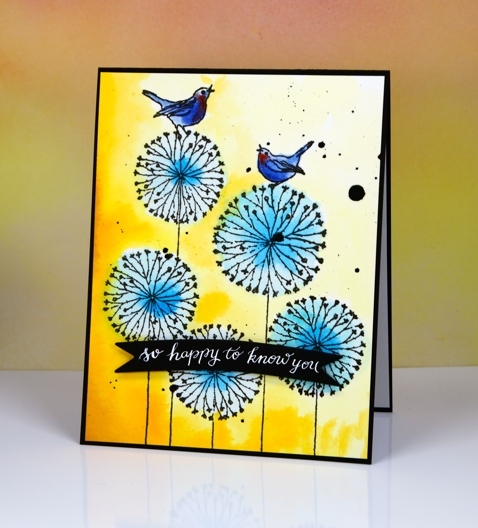 I love this happy, carefree card, Heather! Now I’m going to have to order this stamp! Thanks for so much inspiration!